’Dr. 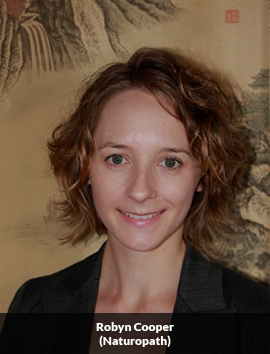 Erica French (ACUPUNCTURE) is registered in the Acupuncture division of the Register of Chinese Medicine Practitioners Australian Health Practitioner Regulation Agency (AHPRA) and is a member of the Australian Acupuncture and Chinese Medicine Association (AACMA). 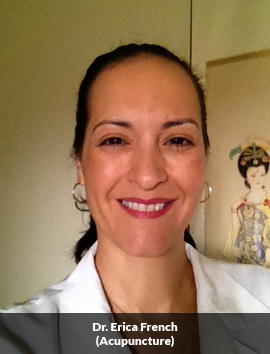 Dr. Erica French (Acupuncture) studied Traditional Chinese Medicine in the United States at the Pacific College of Oriental Medicine in San Diego California, and completed her studies in Brisbane, Australia. At Cycle of Life Acupuncture Caloundra & Buderim, Dr. Erica French (Acupuncture) offers Comprehensive, Gentle and Compassionate care relevant to your health. Working with you, Dr. Erica creates a treatment plan which best suits your needs. Using an Integrative approach by collaborating with your General Practitioner, Fertility Specialist, Chiropractor, Naturopath, Bowen Therapist, etc., she offers preventative medicine by giving supportive lifestyle and nutritional advice to address your health. It is the Preventative treatments which ensure our patients are at their optimal level of health. Dr. Erica French has 10 Years experience in Women’s Health, fertility for a healthy pregnancy, preparation of IVF, IUI, primary ovarian insufficiency and menstrual disorders. She interned at a clinic that specialized in Women’s Health in San Diego California and also at a Naturopathic clinic in Brisbane before starting her own practice here on the Sunshine Coast. She is passionate about working in Women’s Health. Both Dr. Erica French and Fertility Solutions try to achieve the best possible results for you. Dr. Erica is a current member of the Australian Acupuncture and Chinese Medicine Association (AACMA) and the Australian Health Practitioners Regulation Authority (AHPRA). The Caloundra location is situated in a peaceful and tranquil environment where therapeutic oils, cupping and moxibusion are used when needed. Robyn Cooper (Naturopath) has been involved in product development and research, technical support and product education within the naturopathic industry for the last 13 years. In these roles, Robyn has developed vast knowledge of the many tools and varied approaches available to today's clinicians. Robyn graduated from the Australian College of Natural Medicine with a Bachelor of Health Science (Naturopathy). Robyn has also traveled throughout Australia, Europe, America and Canada to attend seminars and conferences to further develop her skills and knowledge in naturopathic and herbal medicines. Robyn recently spent a few years living in Canada and the USA, where she greatly expanded her knowledge and passion for North American herbs (eg. Echinacea). Here she worked closely with many herbs in all facets of hands on experiences; growing, cultivating, harvesting and manufacturing many of her own remedies. Robyn believes that natural medicine is more than just using pills and potions. Robyn uses herbal and nutritional medicine, alongside education in diet, lifestyle and environmental assistance, to treat a wide range of conditions. Robyn focuses on improving the long-term health of clients and their family with a focus on prevention in a cost-effective way. Robyn offers naturopathic and herbal medicine assistance in the following areas; hormonal imbalances in both males and females at all ages, natural fertility and reproductive health for both men and women, pregnancy and lactation support, sleep disturbances, children’s health, skin conditions, immune system conditions (including seasonal, chronic, acute and autoimmune conditions), dietary and environmental intolerances, pain management, digestive complaints, mental health and stress management. Regardless of the condition or the age, at Cycle of Life Acupuncture, we use an Integrative approach. 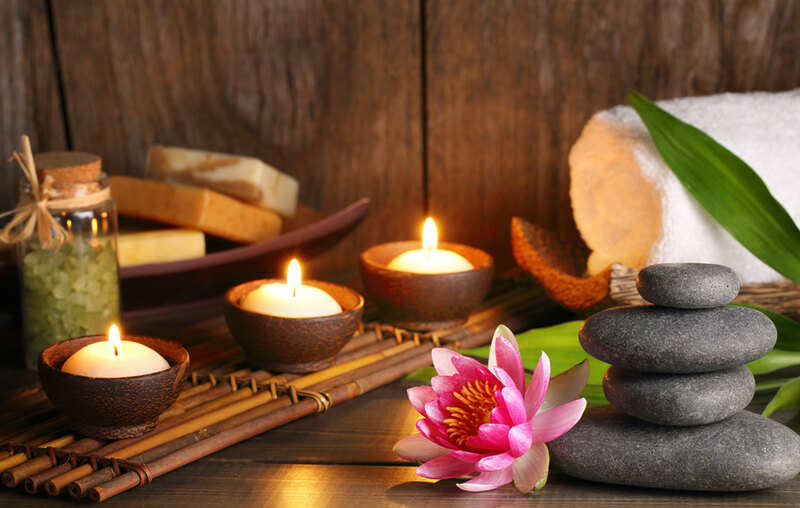 Erica French aims to assist you in reaching new levels of well-being by treating you as a whole – mind, body & spirit by combining the best therapies required. This approach can help to reduce pain, may reduce the side affects of medication and can help to reduce stress levels. We do this by promoting awareness and understanding of the factors that contribute to physical and emotional ailments. Acupuncture is a part of Traditional Chinese Medicine (TCM) and is used to ensure the free flow of the body’s energy in order to bring the body back into its natural balance. Acupuncture is a method of encouraging the body to promote natural healing and to improve functioning. This is done by inserting needles, applying heat, electrical stimulation or a laser at very precise acupuncture points. What is Shonishin Paediatric Acupuncture? Using a variety of specialised tools and techniques, the Shonishin method (Japanese Paediatric Acupuncture) stimulates the acupoints and meridians using rubbing, tapping and pressing methods on the surface of the body. Children generally find the treatment very relaxing and fun, as no pain or discomfort is felt. Laser acupuncture is the application of infra-red light to damaged tissues to assist with pain relief and promote healing instead of using traditional acupuncture needles. Laser therapy is a non-invasive, pain-free, light-based therapy that uses red and infrared light to target inflamed, injured and diseased tissues. Photons of light stimulate ATP production, thereby accelerating the healing process. Patients recover from musculoskeletal and peripheral nerve injuries with less scar tissue, accelerated cell regeneration and improved function. Low-level lasers may assist with regenerating cells, decreasing pain, reduce inflammation, improve circulation, and stimulate hair growth. Laser Acupuncture works by aiming a beam of light from a laser tube onto an acupuncture point, stimulating it similar to the way acupuncture needles do. A practitioner may hold the beam steadily for a period that can range from ten seconds to a maximum of two minutes. How can Acupuncture help with IVF treatments? Please contact our office to find out more on how Acupuncture can prepare you pre and post IVF treatments. Can I get acupuncture if I am using any other form of treatment? Acupuncture can definitely be used in conjunction of any other form of treatment. The combination of both Eastern and Western medicine are ideal. Acupuncture alone can help to improve various conditions however; Integrative medicine can be very beneficial as well. Please consult with your Medical doctor regarding any questions or concerns that you may have. The number of treatments needed differs from person to person. For chronic or complex conditions, one or two treatments a week for several weeks or months may be recommended. For acute conditions, one to three treatments may be required. The number of sessions required really depends on the nature of the disorder. At the time of the initial examination, Erica will evaluate your condition and will assess the approximate number of treatments needed. The initial consultation and treatment entails taking a full medical history. This may include a wide range of questions such as asking about your energy, sleep, diet, digestion, urinary/bowel functions, emotional or physical symptoms. The pulse is taken to give valuable clinical information and the tongue is viewed to confirm the pulse. After a full assessment is made, points are selected, a treatment plan is made and suggestions of additional modalities such as exercise, massage or dietary advice are given. The treatment may take up to 60 minutes while the follow-up treatments are closer to 30-45 minutes. People experience the insertion of an acupuncture needle differently. Most patients feel either a dull, achy, heavy or warm sensation when the needle is correctly placed. This is referred to as ‘Qi’. Most people become very relaxed or will fall asleep. Laser Acupuncture can also be helpful and patients can also feel either a dull, achy, heavy or warm sensation or no sensation at all. The Aim of Acupuncture is to establish a healthy bodily function by restoring the natural circulation of energy in your body. This energy is known as ‘Qi’. This form of medicine involves inserting a SOLID filiform needle made of stainless steel – the width of a strand of hair into the skin at specific areas of the body to help achieve a therapeutic effect. NO Drug is injected. By restoring the natural energy in your body, Acupuncture encourages the body’s internal organs to correct imbalances. This natural healing may assist by increasing energy, improve moods, reduce or relive pain, promote a healthy digestive system and may improve the function of the affected areas in the body. Tapping is also known as Emotional Freedom Technique (EFT). It is using your fingers to tap on the endpoints of meridians in your body while making a statement and focusing on various health problems that are challenging us such as stress, anxiety, insomnia, back, neck, shoulder pain and headaches. While tapping, a signal is sent to the amygdala in the brain releasing that ‘stress’ in the body that is held in your body’s memory. Cycle of Life Acupuncture Caloundra & Buderim © Copyrights | 2018. All Rights Reserved.